Our carbon fiber double case is a pure work of art. Layers of woven carbon fibers covered in a high gloss epoxy, accented with black leather and red stitched handles, make this the most beautiful case you will own. The double feature lets you have the option of carrying two Bb, C, Eb, D, or piccolo trumpets. This case is equipped with backpack straps. The Edwards X-7 Bb cornet does fit in this case but not all cornets do. 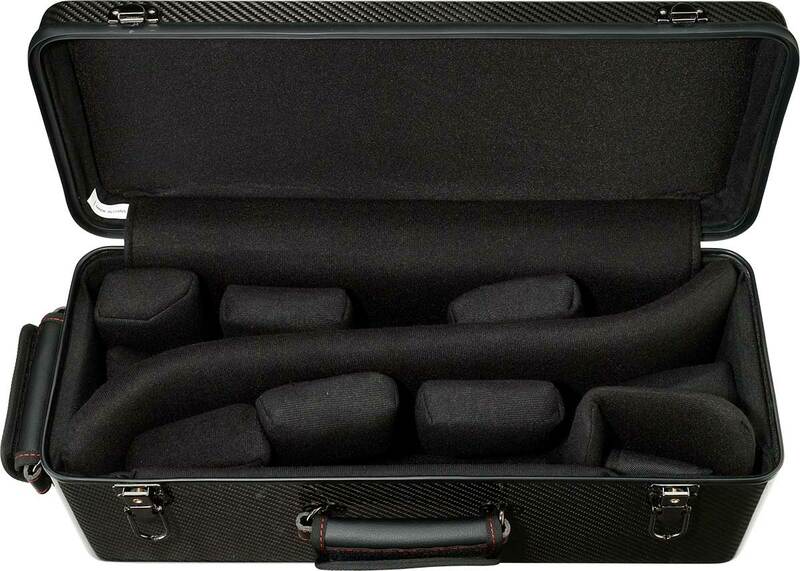 Please check with our trumpet specialist before purchasing if you plan to use this case for cornet.